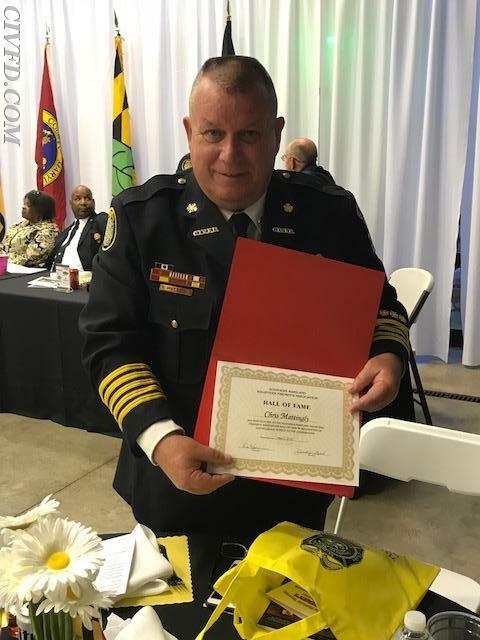 On Saturday, May 5, 2018, during the Southern Maryland Volunteer Firemen's Association (SMVFA) 71st Anniversary Banquet and Awards, Past Chie Chris Mattingly was inducted into the SMVFA Hall of Fame. Past Chief C. Mattingly joins several of our other members who have already been inducted to the SMVFA Hall of Fame with this distinct honor. The SMVFA Hall of Fame Committee selects 10 inductees every year from numerous submissions turned in from the Charles, Calvert, and St. Mary's volunteer fire departments. Congratulations to Chris Mattingly on this honor. Your dedication and commitment to the Cobb Island Volunteer Fire Department and EMS over the years has not gone unnoticed!